A trip to the far North doesn’t guarantee that you will see an Aurora Borealis – even though some places are better than others in Finland , and at certain times you can see them better than at others (late winter and early autumn are especially good). 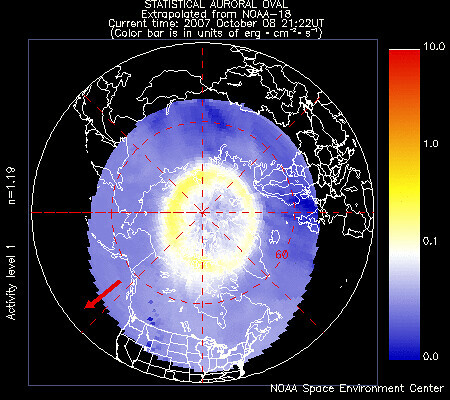 In this link you can see the latest image of the NOAA POES satellite . If you’re planning to go this year to see the Northern Lights in Finland, a good place full of Aurora information is the National Research Center  of Northern Lights in Sodankylä, in the Finnish Lapland. After all, if the Finns chose that place for their research facility, they know that a lot will happen there. Other great places with easy access to roads, towns and accommodation in that area are Luosto, Saariselkä, Rovaniemi or Oulu. 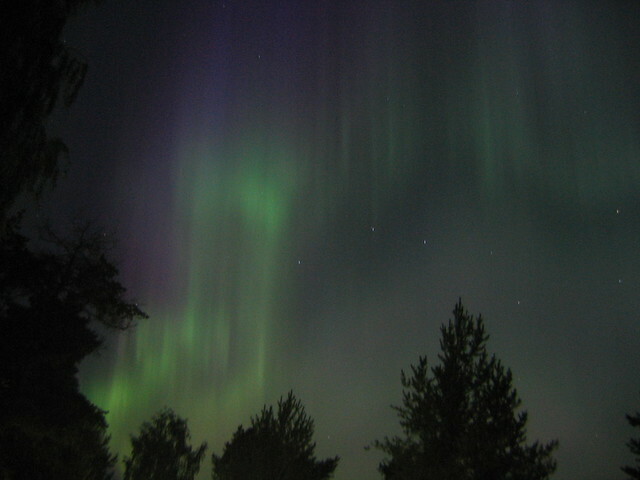 If you’re curious how the sky over Sodankylä is looking right now, here’s an updated photo of the sky in this region .